LifeTech Commercial Grade High Efficiency Pumps may be used in submersible or inline (external) applications. They move massive amounts of water while using minimal electricity, thanks to their highly efficient split tube motor. Built tough for demanding, mission critical environments, featuring wear-resistant ceramic bearings and advanced overload protection circuitry to ensure safe, continuous and trouble-free use. Can be used in both freshwater and saltwater environments in a diverse number of applications including recirculating aquaculture systems, large aquaponics systems, koi ponds (waterfalls, fountains, filtration) and more. 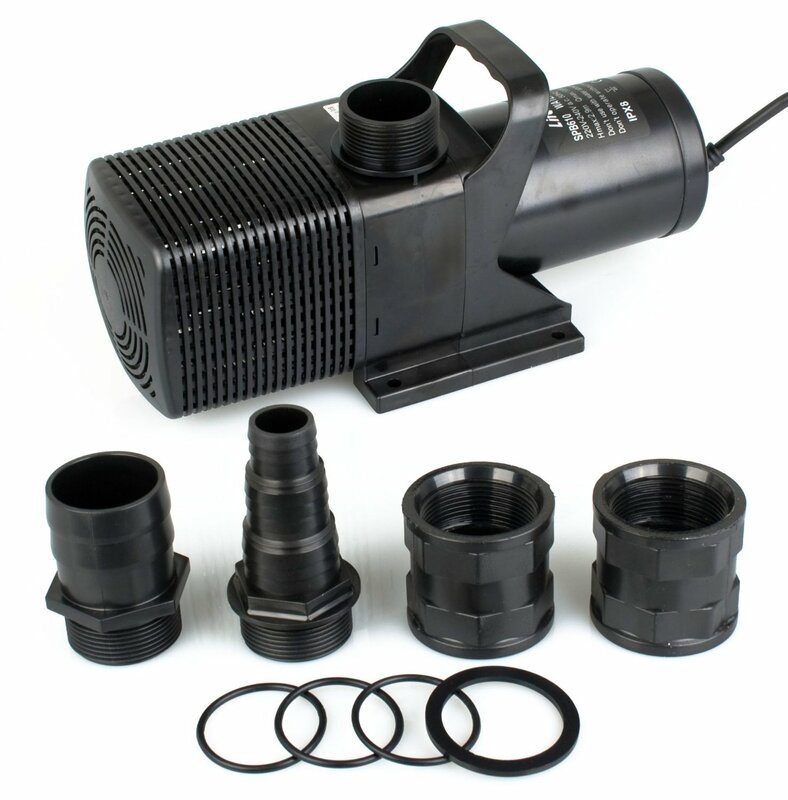 All electrical components are fully contained in solid, fish safe plastic resin while the rest of the pump assembly can be easily taken apart and reassembled for fast and simple maintenance. The extra long power cord provides flexibility in pump placement.